Flawless beautiful face is not given to all. Only few women have flawless beauty and others have to work on with the techniques to look like them. 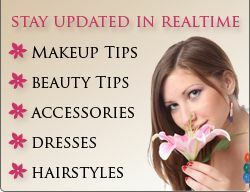 In this modern world many techniques are available which can make you look gorgeous. Like by doing facial surgery or other operations or by using makeup. Makeup is a good technique to make you look more beautiful and have a pretty face. It can be used to hide some facial flaws like acne, freckles, dark circles, dull complexion, broad nose, puffy eyes, square face and others. - Dark circles under the eyes are very common flaw seen in most of the women. To hide dark circles, concealer should be used. Match the shade of concealer with the skin tone. It can be one tone lighter but don’t select the one whose color is darker than skin color. Yellow-based concealers are great choice. - One more common flaw seen is pimples. To hide pimples, it is easy and can be done with the help of concealer and foundation. First apply concealer where ever you have pimples and not all over the face. Its shade should be lighter than skin color. 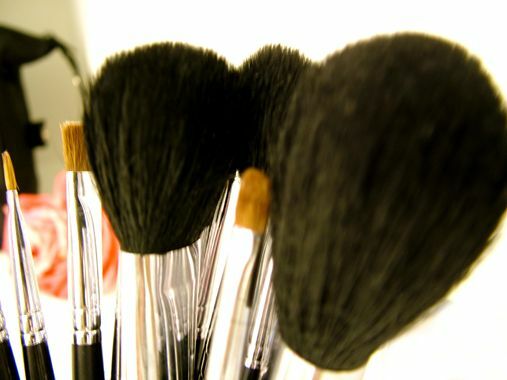 As pimples are result of more oily skin, powdered foundation should be used after using concealer. Apply powdered foundation evenly all over the face. If you want to decrease the growth of pimples, wash your face daily with a good face wash which is especially for oily skin. - Freckles are also beauty flaw for some women. So, to hide freckles all what is needed is foundation, concealer, moisturizer and loose powder. There are two ways by which you can hide them. First it that you can use moisturizer to keep your face moisturized properly. Then apply foundation matching with the skin tone all over the face and neck and then at last dab some loose powder for shining effect of face. The other way is that first apply concealer first on the face wherever you have freckles. Then use liquid foundation or powder foundation to even out the skin tone and then at last dab some powder so that no freckles are seen. This way you can hide freckles and will get flawless face. - Puffy eyes/Bags is the problem with the women who work a lot and don’t take care of themselves. To hide this problem with the help of makeup, you can use moisturizer, foundation, proper eye shadow and eye liner. Massage your face with proper moisturizer as it is necessary that the face should be properly moisturized. This will reduce the puffiness under the eyes, if done regularly. For instant effect, you should use foundation matching with the skin tone and apply it all over the face. Dark eye shadow or two eye shadows, one medium dark and other light in color, should be used to conceal the puffiness. The apply eye liner of dark color properly to hide the puffiness for lower eye lid. Now, you too can get flawless beautiful face by hiding any facial flaws. It has become easy to hide the errors with the above tips. Keep in mind the above points and try them out if you want totally correct face. You will surely look more beautiful and gorgeous when you would have flawless face.